Whether it is the cultivation of vegetables or ornamental plants, if the attack is severe, it can cause damages that can lead to the loss of the crops since the final product no longer has commercial value. Both slugs and snails are hermaphroditic gastropod mollusks and they leave a trail of mucus when they move, which is easily identifiable. Snails have different shapes and sizes, however they always have a spiral calcareous shell with brown colorthat can be smooth or ribbed and they usually are 5 cm long. The most common specie is: Helix aspersa. 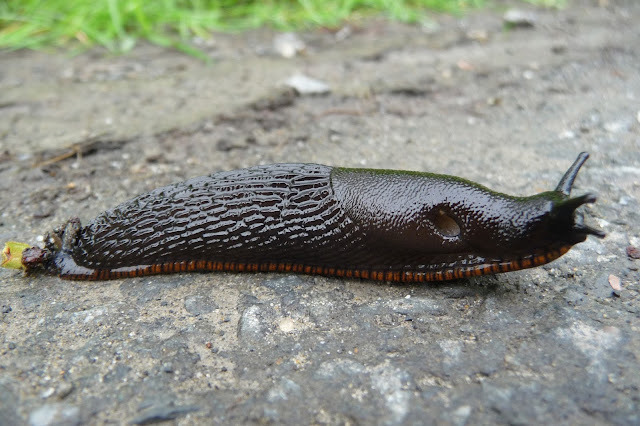 Slugs vary in color (from pinkish brown to black) and size (the most common are between 3-4.5 cm) and there are various types of them. The most common species are: Arion spp, Milax spp, Deroceras reticulatum. Clean these spaces and keep them free of debris like bricks, tiles, boards or old wood, pruning or crop waste as they are perfect shelters for slugs and snails. Skim the weeds or do a thermal weeding to reduce its presence, since the weeds are excellent hiding places for these mollusks. Don`t sow or plant in cold soils; water the plants in the morning so that in the evening (the time of greater activity of these pests) there is no film of water on the soil or on the leaves. Use plant varieties more resistant to the attacks of slugs and snails (common situation in the potato case). If you desire to make a compost pile, locate it away from the growing areas because slugs and snails feed on this site. Attractive traps – it can be buried along the affected crops some containers of beer or milk to attract these pests. However, because this method isn`t selective also attracts some beneficial animals or other animals that the ecosystem needs. Another method consists in placing newspapers, cardboards or plastics with kitchen waste (stalks, leaves, orange peels, …) to attract the slugs and snails. You can also make piles with stones, tiles, old wood and comfrey leaves in a location further away from the growing area to be the mollusks hiding areas and be easier to capture them. You can also use attractive plants, such as the case of Tagets (marigolds). Barriers to its passage – you can spread lime (careful to don`t burn the plants or change the soil pH) ash, sawdust, sand, coffee grounds or crushed eggshells near the crops so you not only difficult the passage of these pests but also in some cases, cause their dehydration. However, these measures are ineffective if it is raining. 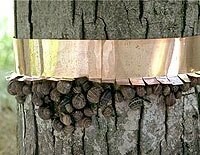 Another barrier that can be used is a copper adhesive band (dry or wet), which works as an obstacle due to copper sulfate. Use repellent plants – this practice is easy to implement you just have to put them around and/or between the lines of the cultivation area some the following plants: sage, mint, lavender, echinacea, calendula, garlic and chicory. 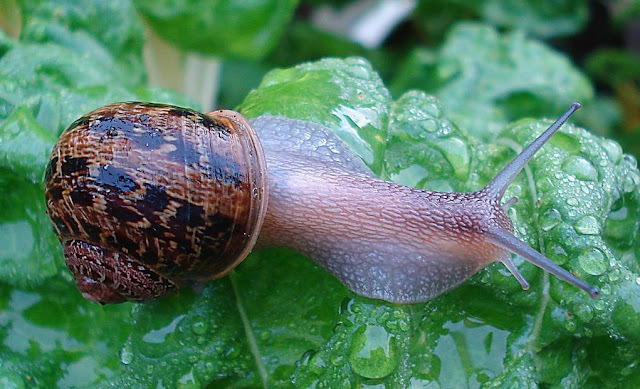 Catch the slugs and snails manually – if you have patience and availability, equip yourself with a flashlight and go to the garden or yard at night to pick up these animals. If the attack of these pests is extensive or the growing area is a large one, which in this case some of the previous methods aren`t suitable, you may opt for biological control by applying biopesticides. This way you can use a product that attract slugs and snails containing iron phosphate (FePO4) as an active ingredient. Because they have low toxicity, these products don`t cause undesirable effects to mammals and are environmentally friendly.